Central bankers are sociopathic in nature and sociopathic people tend to behave like robots. When one understands the motivations of central bankers, or at the very least what their goals are, their actions become rather predictable. The question is, what truly motivates these people? 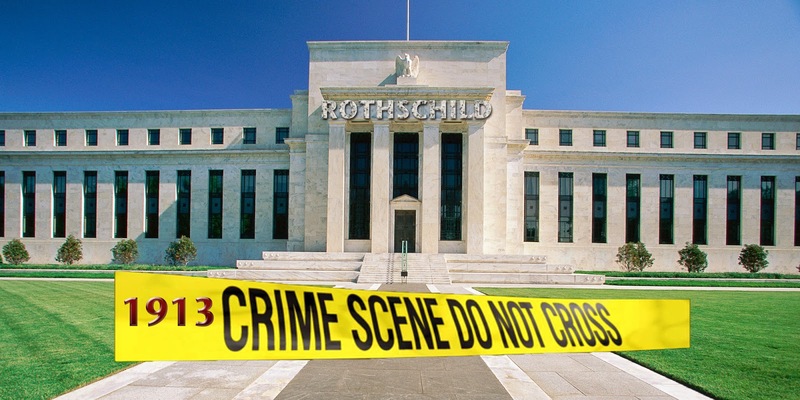 I believe according to the evidence that the central banks are motivated by ideological zealotry with the core purpose of total global centralization of economic and political power into the hands of a select group of elitists. This agenda is really just a modern “reboot” of feudalism or totalitarianism. They sometimes refer to the plan in public as the “new world order,” or the “global economic reset.” I often refer to the encompassing ideology as “globalism” for the sake of expediency. To attain this goal, central bankers must influence mass psychology using traumatic events. Fear opens doors to centralization of power. This is simply a fact social behavior and history. The more afraid a population is, the more willing they will be to give up freedoms in exchange for safety and security. Therefore, the most effective weapon at the disposal of the globalists and their central banking counterparts is engineered economic crisis – a weapon that can, if allowed, destroy entire civilizations almost as fast as a nuclear war, while still keeping most of the expensive infrastructure intact. Beyond that, economic crisis is also a weapon that can influence a population to embrace even greater enslavement while viewing their slave masters as saviors rather than villains. This fact is becoming extremely clear lately as the Federal Reserve initiates policy tightening measures into obvious economic weakness; an action which is crashing stock markets as well as destabilizing other sectors of the economy including housing markets, auto markets and credit markets. As noted, this was highly predictable. In September of 2015 I published an article titled ‘The Real Reasons Why The Fed Will Hike Interest Rates’, predicting that the strategy the banks would use to bring about the next crisis would be interest rate hikes in the midst of financial instability. This was the same strategy they used to initiate the Great Depression. And as mentioned earlier, sociopaths act like robots – they tend to use similar tactics over and over again because these tactics have worked in the past. At the beginning of this year, I published an article titled ‘New Fed Chairman Will Trigger A Historic Stock Market Crash In 2018’. In that article, I predicted that Jerome Powell would push forward with interest rate hikes and balance sheet cuts. This would put extreme pressure on highly indebted corporations and they would be forced to stop spending capital on stock buybacks, which have been propping up equities for several years. Though stock buybacks had saved markets from the plunge in February, they are long gone in the final quarter as the cost of corporate debt expands. Stocks are now in near free fall in December. The crash of the “everything bubble” has begun. So far, intermittent bounces have been brief, lasting in some cases mere hours to a couple of days, then plunging into complete retraction. The trend line indicates far more pain to come. I was able to calculate this outcome because I am willing as an analyst to accept certain realities. The most important being that at this stage the Fed DOES NOT CARE about propping up the U.S. economy, and ultimately, the Fed does not even care what happens to itself as an institution. The truth is that the Fed is working towards an ideological end game of global centralization; this means one economy, one currency and eventually one world government (a plan which has been openly admitted to by globalists in the past). It has no loyalty to the U.S. system, and it will destroy the U.S. system if it must to achieve this prize. The concept of the “plunge protection team” has become widespread in recent years, and for good reason. It was the central banks in tandem with government agencies that have hidden honest economic data from the mainstream public as well as artificially inflated asset valuations to obscure the truth – that the US and much of the world has been suffering from systemic decline, a collapse that has been ongoing since at least 2008. However, things change, and the plans of central banks evolve. It took a decade to create the ‘Everything Bubble’; an unprecedented bubble encompassing every facet of our economy including Treasury bonds and even the dollar. The true purpose of most financial bubbles is to engineer a crash. The “plunge protection team” is no longer a guaranteed element of US markets anymore. If they are intervening, it has only been as a steam valve to slow the current crash to more manageable levels. In other words, it’s a controlled demolition. I don’t call them the “PPT” anymore – instead I think I’ll call them the PAC (Plunge Acceleration Commission). The PAC-men are devouring the economy piece by piece and digesting it as they go. They want a crash. In fact, they need one. Far too many people wrongly assume that the Fed is the apex of globalist power. The Fed is nothing more than a single tentacle of a larger vampire squid. It is the branch of a franchise, not the top of the pyramid. At this time, ending the Fed is still useful as a symbolic act, but strategically it would be pointless in saving the economy. The Fed has already accomplished its mission. This is why I don’t take the ongoing WWF wrestling match between Donald Trump and the Fed very seriously. Trump’s continued associations with banking and think tank elites suggest to me that his battle with the Fed is staged theater. Consider this: If the Fed is designed to blow up our economy and possibly itself, blame needs to be redirected away from the central banks. What better way to do this than to let conservatives think they are “winning” by pursuing a shutdown of the Fed? It’s an entity that the globalists were planning on sacrificing anyway. Trump campaigned on the argument that the Fed was creating an artificial bubble in stocks through low interest rates. Then he took full credit for the stock market rally for the past two years. Now he is attacking the Fed for raising interest rates and causing markets to fall. It seems to me that the future mainstream narrative will read that a spoiled Trump caused the crash, blamed the “innocent” central bank that was only attempting to “normalize” the economy, and in the process made the situation even worse. I am already seeing a stream of articles defending Jerome Powell as some kind of heroic rebel willing to raise rates in the face of establishment opposition. This idea is laughable when you consider the Fed’s long history of inflating and then imploding bubbles while banking elites siphon up hard assets and push the citizenry into further poverty and servitude. Powell isn’t a “rebel”, he’s a middle manager carrying out the same old strategy that globalists have always used: Problem – Reaction – Solution. Debt bubble, debt crisis, financial collapse, public desperation, asset absorption, centralization. I will be elaborating on Trump’s participation in the global economic reset scheme in my next article. Needless to say, the false Trump vs. Fed paradigm was also predictable. Read my article ‘In A Battle Between Trump And The Fed, Who Really Wins?’, published in February of 2017, as well as my article ‘Trump vs The Fed: America Sacrificed At the NWO Altar’, published in July 2018, for an in-depth analysis. Ultimately, the Fed is a proxy threat. A shadow of the greater monster that must be defeated. Our focus now must be to determine who rebuilds the system after the crash runs its course. This means preventing global central bank hubs like the IMF or the BIS from becoming the dominant economic force in the world. It means a long and arduous struggle. It means defiant structures – localized economies and production, self-reliant people providing their own necessities and engaging in trade, and communities formed around mutual aid and security. It means a fight is coming that goes beyond the information war.